The alarm rings, you hit the snooze button. The next time you open your eyes you find that time has whizzed by and you are running late. Jumping into the shower, quickly putting on your office clothes, you dash for the car, the bike, or the metro and hurry to work. If lucky, you stop in a drive through and grab some food on the way to the office. If you are not as lucky, you arrive at the office feeling tired. So you go to the kitchen (if one is available), or head to the cafeteria to buy coffee and food. Usually on such days you will end up buying both breakfast and lunch. This means spending more money and eating more outside food (which is not always healthy). But, what can you do? 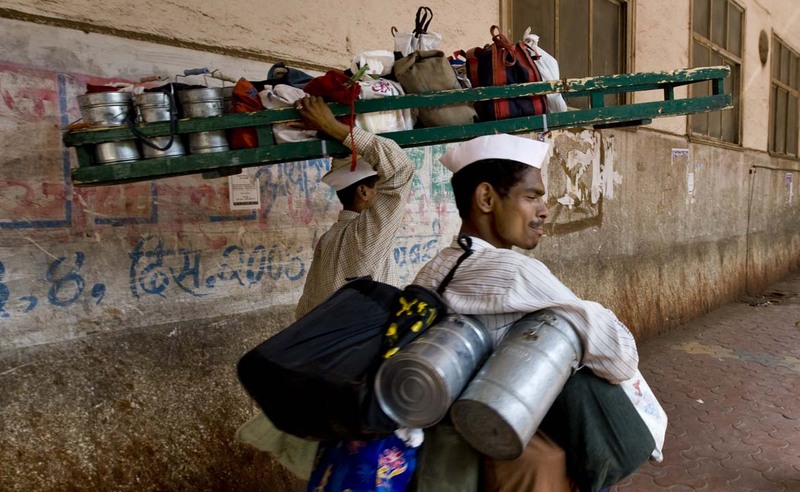 To address this modern problem, the city of Mumbai in India began to rely on an ancient tradition of delivering lunches to working men and women. The process is known as dabbawala. Clients of this service can enjoy a home cooked lunch prepared by a family member that is delivered straight to the office. Those who are health conscious or don’t have anyone to cook for them can order produce from a delivery service, such as Calorie Care. This food chain prepares meals with specific caloric portions and pays attention to nutrition. It is also a bit more expensive. Those worried about their lunch getting lost on the way can rest assured! Forbes magazine gave this service a 6 Sigma performance rating, meaning that their percentage of correctness reaches 99.999999 or more. Hence, for every six million lunches delivered, only one might end up in the wrong hands. This accuracy has caught the attention of Harvard University, which covered the business in one of its case studies. And while thousands of lunches get delivered on a daily basis, a big chunk of the Indian population goes hungry. So a new campaign originated by the non-profit Happy Life Welfare society decided to create a sticker allowing any uneaten food to go to the needy. If some lunch is left in the tin container, the eater can place a sticker reading “Share” on top of it. This instructs the individuals retrieving the can after lunch to deliver the food to the needy. Though an ingenious idea, it received some backlash, particularly on the part of the food being served constituting leftovers of another. Others view this as good way to fight food waste and feed people. What is your opinion? Share your thoughts below. Posted on August 25, 2014 August 25, 2014 by saynotofoodwastePosted in News, UncategorizedTagged dabbawala, food security, food waste, india, mumbai. Previous Previous post: No Honey. No Money.